Mamta Ganesan is from Dehli. She is not only passionate and fluent in Hindi, her lessons plans and curriculum reflect mastery of content and effective methods of teaching. Mamta Ganesan has a bachelors in Fine Arts with major in Sculpture from College of Art, New Delhi, India. She has taught Art in public schools and love learning & teaching. Her philosophy of teaching comes from our Guru's inspiration to love and respect everyone. will remember how special you made us feel. 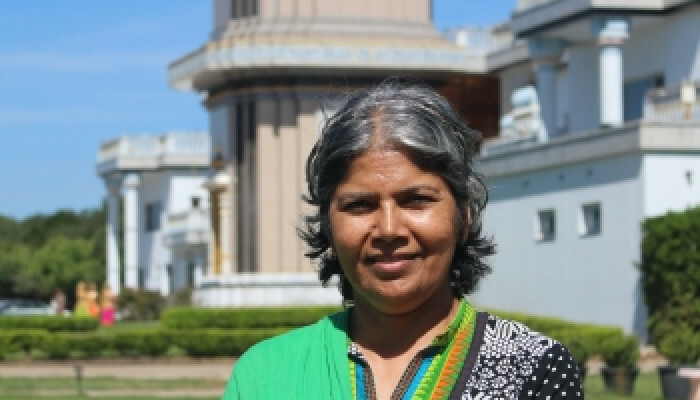 Mamta has served as a public school teacher most of her career.